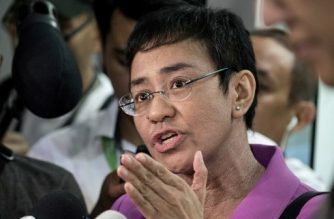 (Eagle News) — The businessman who filed cyber libel charges against Rappler, its chief executive officer Maria Ressa and former reporter Reynaldo Santos slammed on Thursday, Feb. 14, the three for “continu(ing) to hold themselves high above any accountability…” for the article that he said defamed him. 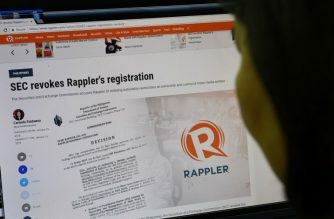 “Rappler’s inaccurate, nay, reckless reports and statements continue to be quoted by other news outfits, thereby perpetuating the clearly incorrect version of the story. Such reckless, premature and inaccurate reporting on the government processes reek of actual malice and cyber bullying and border on the intentional propagation of ‘fake news,'” Keng said. He noted that Rappler, Ressa and Santos “never attempted to obtain” his side on the “crimes they wrongly imputed to me, or to fact-check their baseless attacks against my name” in the article, after all. He said he has “never had a criminal record,” and for “almost four decades” since he started working, has “consistently secured official clearance from the (NBI) certifying” that he has never been involved in any criminal activities. “Since the 1980s, I have never been investigated by or summoned before any law enforcement agency in connection with any alleged criminal act, much less have I been indicted, arrested, detained or convicted of any crime in the Philippines,” he said. “Against this kind of limitless harassment and wanton disregard for the rule of law, I was left with no other choice but to file a case and seek protection from our courts,” Keng said. “In the end, this story is not just about an ordinary suit filed by a private and hardworking citizen to clear his name. It is, in reality, a test case on how the Philippine legal and judicial system will fare against the dangerous precedent that is being set by one reckless and irresponsible member of the media and of the online community,” Keng said. 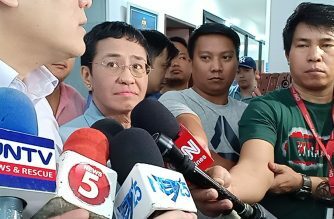 “If left unaccountable, Rappler, Ressa and Santos’ impunity will be emulated and replicated, and will destroy not just individual lives but our entire country,” Keng added.